10. Sai! The day you touched the chords of the Veena (a musical instrument) of my heart, the Veena started ringing automatically and its vibrations continue unabated. The sweet tones coming out of the Veena show me your path and provide the inspiration to continue to tread thereon firmly. It is only due to the continuous flow of these strains that I have been able to reach here where I stand today. What is my destination, when would it be possible for me to reach there; whether or not shall I ever be able to reach there, are the questions, the answers to which neither do I know, nor do I seek. A complete sense of satisfaction towards all that is happening around me has got deeply entrenched in my heart and provides me the feeling of ‘Aatmanand’ (bliss). You have caught hold of my hand firmly and are ever with me. I seek no other support nor do I carry any worry concerning my life hereafter. Baba! I pray to you to let me remain in my ‘Masti’ (state of care freeness). “My ‘masti’ is dear to me. I exist along with my Sai and seek nothing beyond it”. 11. Sai! By gazing constantly into your eyes full of compassion, my heart also often overflows with compassion. If I, who is not even a particle of dust under your feet, gets affected by their impact so much, then my Baba, you the Avataar of Compassion while in physical form, how much powerful and influential, you would have been, is beyond my imagination and even the depth of it is immeasurable. 12. The other day sitting in the balcony of Lodi Road Temple, I was looking intently at Baba, endeavouring to merge my identity in Him. Suddenly a flow of ecstasy gushed forth within me. A thought came to my mind: Baba! It was merely a few years back that you were a mere big chunk of stone which we had selected from amongst the three marble stones lying in the compound of sculptor Pandey Ji in Jaipur, in our attempt to ensure that the one we selected should have no black spots on it on taking your form. In our subsequent visit to Jaipur, we found that Pandey Ji had sold away the idol of some other God carved out of this stone to some other party. We felt aghast at it and uttered some unpleasant words to Pandey Ji. Shri Pandey tried to convince us that he had done so since the piece selected by us wasn’t upto the mark. Since we could do nothing, we had to wait for other finer pieces of huge marbles becoming available to him. Some time later, Pandey Ji invited us to make selection from other pieces brought from Makrana Mines. Using all our skills, we selected the piece which was carved out into your idol, and is at present installed in the temple. On completion of the chiseling work, it was found that the idol had a black spot on its back. Since the terms of the agreement made it obligatory on us to accept the idol if the spot came out on its back, we had to accept it and put in all our efforts and use all our perceptions, skills, brains and endeavors to make the sculptor Pandey Ji to give its face the Iook alike to Shirdi idol. After sustained efforts, it was found that it was impossible to give it the Shirdi look on Baba’s face and had, therefore, to contend with what came out. On 6th October 1976, the idol installed at Lodi Road Temple was unveiled and the form that Baba assumed is there for every one to see and appreciate. Baba! Today lakhs of devotees are flocking to you in this temple and getting from you whatever they want. 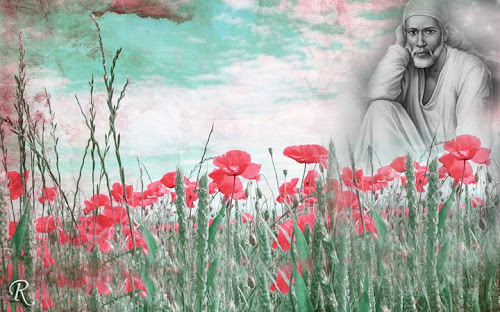 You are providing solace to their heads and hearts. Does it not mean that a piece of stone which is completely lifeless (प्राणरहित or निर्जीव) on attaining your form acquires the Swaroop of ‘Par-Brahm-Parmeshwar’. Even pondering over this thought takes one beyond the realm of mind: When the stone on taking your form attains so immense powers, who could gauge the depth of powers you possessed while you were living and roaming about on earth in your physical form? 13. 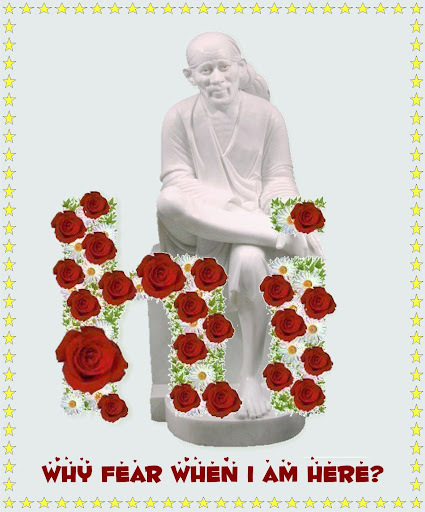 In the calm moments of my life, when I am deeply absorbed in Sai Chintan (thoughts) and my mind is suddenly drawn towards the show business which is flourishing all around us in the name of that great Saint of Shirdi, I feel an ache within me. Where to have we brought that Saint, who had never even worn a Kafni without patches thereon, all through his life. Sometimes we talk of making him occupy a gold throne, saying seated on a golden throne Baba will look more gorgeous. A slow witted person that I am, even after making formidable efforts fail to appreciate as to how could a Fakir who went with a begging bowl almost till the end of his life, whose Darbar remained open for the poorest of the poor at all times, who participated in their pleasures and pains and who is even today providing solace to his innumerable devotees all over the globe, shall have today to seek the help of a gold throne to show his grandeur? Why do we not ask those countless devotees of His who have surrendered their all to Baba and in whose heart his image of sitting on a hard stone, wearing a torn Kafni, with eyes brimming with compassion has became deeply ingrained and which has made a deep impact on their lives. Let us think deeply, who are we trying to be-fool. Isn’t it a mere reflection of our own mental state? 14. Sai! You are an ever living ‘Tatva’ (Force) as is evident from the statement made by you to your devotees: “Even though I give up this body, my bones in my Samadhi will give you hope and confidence. Not only I but my Samadhi would be speaking, moving and communicating with those who surrender to me whole heartedly. Do not feel disappointed that I would be away from you. You will hear my bones speaking and discussing your welfare”. 15. Sai, who shall know better than you that every human being is desirous of attaining liberation (Salvation or Mukti / मुक्ति) from the cycle of birth and death. Almost every one wishes that when he leaves the world, he may attain a peaceful and painless death. But my Baba, I entrust you even this responsibility. I do not need ‘Mukti’. It is my only wish that when I leave this transitory world, you may be near me. You may do whatever you like of this ‘Aatma’ (soul) and this body. What shall I do on attaining ‘Mukti’? My soul shall merge in Parmatma. The soul stirring feeling of your nearness that I experience now shall cease and I shall no longer be able to experience the same. My ‘Aatma’ having merged in ‘Parmatma’ shall shed away its separate identity. As regards the feeling of happiness or pain being felt before and after leaving this physical frame, why should I worry for it when I have left the whole burden of my life on you? It now becomes your responsibility as to, in what manner do I leave this body. And when your grace has rained on me birth after birth, how could it be that it shall not be there at the time of my death. It shall certainly and irrevocably be there. It is an eternal truth and why should I be an exception to it! 16. Baba was a Fakir, Baba is a Fakir and Baba shall ever remain a Fakir, howsoever gold and diamonds we may scatter around him and wrap him into. Should we not leave him undisturbed in his Fakiri? Give it a thought!!! If we wish to make an offering to him as a gesture of his bountiful grace on us, let us offer our mind, heart and soul to him. Remember! For Baba, gold and diamonds are mere pebbles lying on the way and serve no purpose until used to serve the poor and neglected. 17. The path of Sai bhakti is not as easy to tread as it looks to be in the beginning, more so as I could never find a guide, who could guide me onto the right path of bhakti. In this situation who would determine whether or not I have been able to tread this path so far little or more. O’ my Baba, you had said that when the need shall be there, the ‘Master’ shall automatically appear, only the aspirant needs to have unshakable faith. Does it not mean that I lack faith? It must be so. 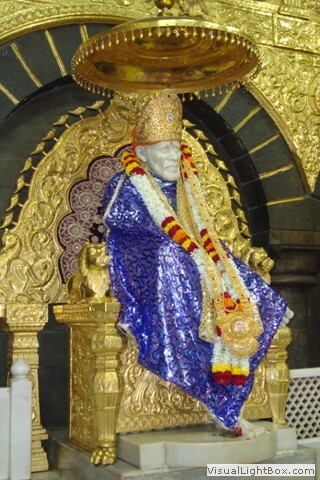 The whole of my life, I have been roaming around places with the firm faith in my heart that my Sai is with me. Now when I am face to face with the reality, how should I determine as to what have I to do? But my Baba! This doubt has cropped up in my mind as I have lack of faith. Even if it be so, I need you. You come and take me out of this mental state, catching hold of my hand. How could it be possible that a devotee of yours remains entangled in a whirlpool, when you have never allowed this to happen? 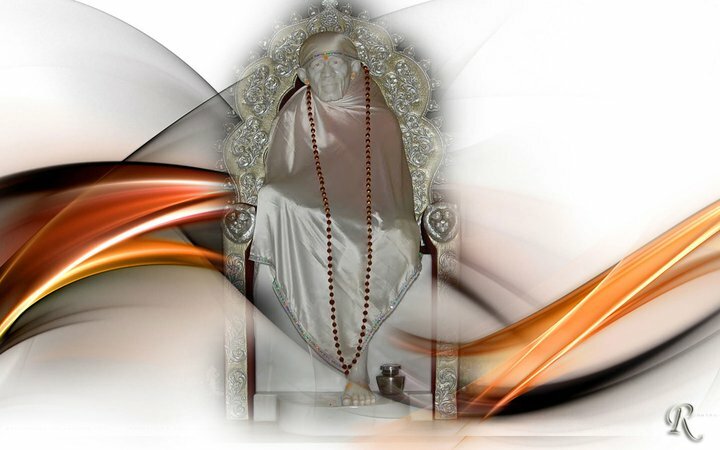 May be that I have been unable to understand till today that when Sai is there, how can my ‘I’ remain there. Both cannot stay together. 19. Sai! You are a ‘Purna Purusha’ and so was Ram. People have made you ‘Sai Ram’. A slow witted person, as I am, I fail to understand and appreciate the linkage of your name with that of Ram. If from the Purna (whole); Purna is taken out, the Purna remains, so says the ‘Isha-Upnishad’. It means that every Avtar is a ‘Purna Purusha’ and needs no crutches. Moreover no other Avtaar’s name has been linked with another Avtaar. The whole is already complete in itself. How could there be any addition to it. 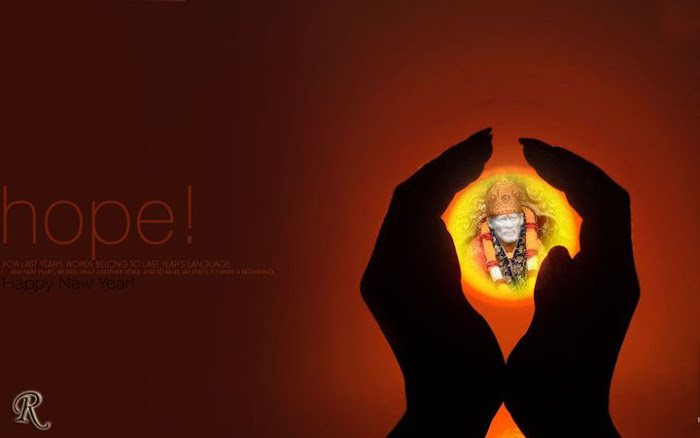 You chose to accept the simple name of ‘Sai’ given by Mahalsapati when you landed in Shirdi. Never added any prefixes and suffixes to it. Then how do we: the ignorants, dare to add to it Lord Ram’s name and call you ‘Sai Ram’. It is a riddle to me. Let someone knowledgeable explain it to me. 20. Sai said: “The music produced by the instrument ringing in your heart, touches the strings of my heart too and provides me joy. Spend this wealth earned by you in serving the poor and downtrodden, who were dear to me in my life lived on earth. Think not who and how they are and their conduct. Who are you to assess them? Leave aside your cleverness and looking for the weaknesses of others. Peep within yourself! Have you been able to imbibe purity of soul; give up all your ambiguities; the feeling of hatred for others and scatter love all around you, which would cleanse your soul and gradually take you towards your Sai and make you his loving ‘Ankita’ bhakta. Does bhakti need wisdom, showoff, arranging of big functions? Learn to share your bread with others and then you shall seem to be constantly proceeding ahead onto the path of bhakti. Bhakti lies buried deep within you, just unearth it and learn to tread on its path with all honesty and sincerity. Gradually you shall attain your Sai and I shall get my loving bhakta in whose quest I am engaged, with all love and feeling, all the while”. How fortunate would have I been! Would have yearned to place their heads on today. Page created in 0.389 seconds with 36 queries.